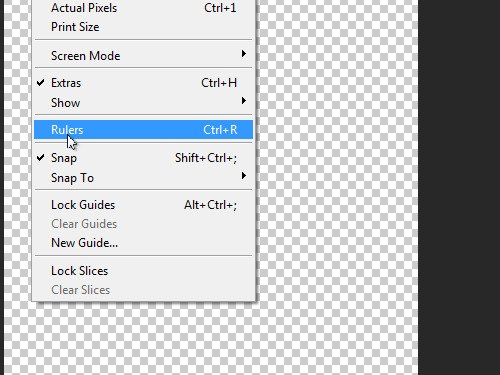 In this video tutorial we will show you how to change Photoshop rulers. Launch the Adobe Photoshop. Go to the “File” menu and select “New” to create a new document. In the appeared dialog box set the document properties and click on the “OK” button. Then click on “Move Tool” icon. Go to the “View” menu and select the “Rulers” option from the drop down menu. 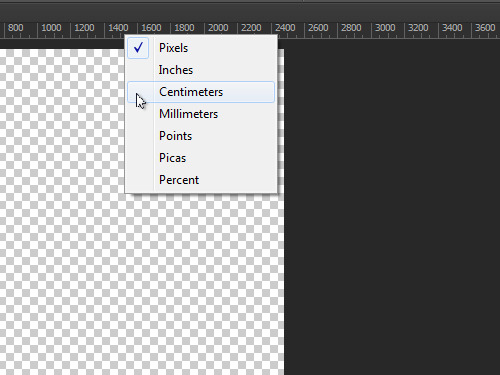 Then right click on the ruler and change the units in the appeared menu, for example from inches to pixels. As you can see, in this menu, you can set the units.